PONTIAC, MI--(Marketwire - August 27, 2010) - While one of Pontiac's largest manufacturing facilities is undergoing a transformation into an extensive film and teaching studio complex, the Auburn Hills Marriott is working diligently to stay abreast of the area's lodging and event needs by providing first-class hotel accommodations. Located within the Centerpoint Business Campus, the Marriott hotel in Auburn Hills, MI joins in the excitement this transformation brings to Pontiac and is prepared to meet the needs of those working to bring the Raleigh Michigan Studios to life and will continue to be a strong supporter of this new and exciting venture as it steps forward to make a major economic impact for this area. While staying at this distinctive hotel, Auburn Hills business travelers will find well appointed guest rooms that include high-speed Internet access and large desks, refrigerator, WebTV with cable and lavish bedding ensembles with plush, down comforters and fluffy pillows for a restful night's sleep. For the convenience of guests, the hotel is home to the award-winning Parkway Grille & Lounge, where the menu includes exquisite American entrees and a fine list of wines. In addition to traditional restaurant dining, private dining is available and when the weather permits, guests can have their meal served outdoors. As a full service Detroit conference hotel in Auburn Hills, the Marriott offers a complete line of event and business services including 10,500 square feet of flexible event space, a full-service business center, AV equipment, skilled technicians and the service of a certified Marriott Auburn Hills event planner. A full line of exceptional event menus are also offered making the hotel a perfect choice for business conferences, meetings and exhibitions. 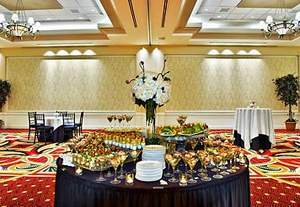 When scheduling Detroit area meetings, businesses will find the hotel provides exceptional facilities and unsurpassed services to meet the needs of successful event planning. Auburn Hills provides a great setting for business and the Marriott's location near the new Raleigh Michigan Studios allows easy access for business needs. The Auburn Hills Marriott Pontiac at Centerpoint Hotel provides guests with a prime location within the Centerpoint Business Campus and easy access to Detroit and many of the area's Fortune 500 companies. The hotel features both indoor and outdoor swimming pools, a whirlpool and on-site state-of-the-art fitness center with 24/7 access for the convenience of hotel guests. Several fine area golf courses are also located nearby. Welcome to the beautiful Detroit Marriott Pontiac at Centerpoint.